Objective: In a given linked list, check whether it contains the loop in it, if yes then find the Loop length and break the loop. 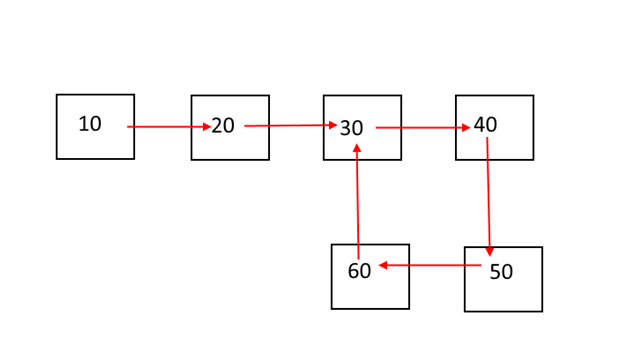 Loop in a linked list means the last node does not point to the null, instead it points to some node in the list. Output: Linked list contains loop or not, if yes its length and linked list after breaking the loop. When another pointer meets the first pointer, stop. Now move both pointers with normal speed. When secondpointer.next = first pointer, set secondpinter.next=null. 250 queries in 0.142 seconds.